The Weeks of September 7 + 14, 2015 brought with them more blogging. jespah gave us Review – Red. 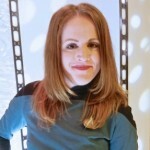 Her next blog post was about Portrait of a Character – D’Storlin. She then blogged all about Recurrent Themes – Plant Lovers. Her last blog post during this two week time frame was Portrait of a Character – Mistra. What are the most popular stories on the Archive? Top ten lists are shown in all sorts of interesting ways. During the Weeks of August 24 + 31, 2015, our bloggers kept it going! jespah wrote – Portrait of a Character – Ian (Malcolm’s MU counterpart) Reed. Her next blog post was Progress Report – August 2015. She then blogged all about Review – Dishing it Out. Her last blog post during this two week time frame was Portrait of a Character – Ingrid Nyqvist. Wondering how you can link to us? The Weeks of August 10 + 17, 2015 brought with them more blogging! jespah wrote Review – Theorizing. Her next blog post was Portrait of a Character – Lakeisha Warren Crusher. She then blogged about Spotlight on an Original Species – Olathans. Her last blog post during this two week time period was Review – Who Shall Wear the Robe and Crown?. Check out all of the Twelve Trials of 2015! During the Weeks of July 27 + August 3, 2015, our bloggers continued with their great output! jespah wrote Spotlight on an Original Species – Nokarid. Her next blog post was the Progress Report – July 2015. She then blogged about Review – Hold Your Dominion. Her last post of this two week time frame was Portrait of a Character – Christian (Chris) Harris. During the Weeks of July 13 + 20, 2015, our bloggers kept it up! jespah gave us Portrait of a Character – Skrol. Her next blog post was Recurrent Themes – Criminals and Prisoners. Her next blog post was all about Review – We Meet Again. The last blog post she made during this two week time frame was Portrait of a Character – Judy Kelly. laurah2215 wrote Nonfiction, Parts 3, 4, and 5. You can read more of laurah2215’s works here. During the Weeks of June 29 + July 6, 2015, our bloggers continued! laurah2215 wrote Ésperer Parts 13, 14, 15, and 16, and Resistance. She also wrote Nonfiction, Part 1 and Part 2.
jespah wrote Progress Report – June 2015. She then added Review – Tumult. Her next blog post was Portrait of a Character – Misty (Mack, Mystic) MacKenzie. Her next blog post was all about Review – All You Need is Love. Be sure to check out the most recent posts to the Archive! What are the most popular stories on the Archive? Is yours one of them? Top ten lists are divided in all sorts of interesting ways. Make sure that you check out all of the Twelve Trials of 2015! Twelve Trials of Triskelion – Week 08 2015!! It is the Twelve Trials of Triskelion – Week 08 2015!! Week Eight: Fantastic Fanworks – This year, this is going to open up to a wider range of fanworks! Draw, do graphic design, make covers, render or sketch characters or ships, come up with fanmixes and CD covers for them, pretty much any fanwork that isn’t fanfic is on the table, so go nuts! Best one by vote wins! During the Weeks of June 15 + 22, 2015, our bloggers continued to add great content! We saw some great additional blog posts as a part of the Blog Like a Boss week on the Twelve Trials of Triskelion. 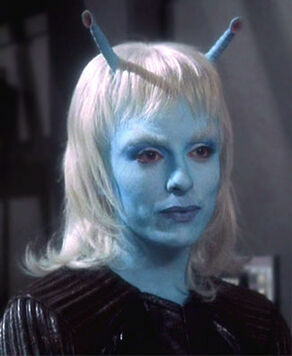 laurah2215 gave us Ésperer Parts 8, 9, 10, 11, and 12.
jespah gave us Focus on Andorians. Her next blog post was about Review – To Wish, to Want to Desire. She next blogged about Portrait of a Character – Oscar (Osh) Tiburón. Her last blog post during this two week time frame was Review – The Rite. Twelve Trials of Triskelion – Week 07 2015!! It’s the Twelve Trials of Triskelion – Week 07 2015!! Week Seven: Daily Prompt Challenge – One prompt per day for you to do whatever you want with! Write a story, draw a picture, blog about it or otherwise get creative! Writing every day based on an independent prompt is a terrific way to get creative and break the chains of writers’ block. Twelve Trials of Triskelion – Week 06 2015!! It’s the Twelve Trials of Triskelion – Week 06 2015!! Week Six: Collaboration Station – Sit down with a buddy and tell a story together. Entries must be 1000+ words, but other than that, the only thing that matters is that you and your co-author work together to tell it! Best team effort by vote gets the prize.